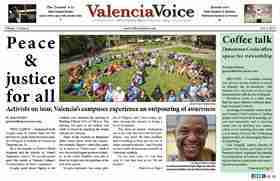 Click here to view the April 24 issue of Valencia Voice. 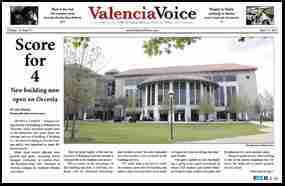 Click here to view the April 17 issue of Valencia Voice. 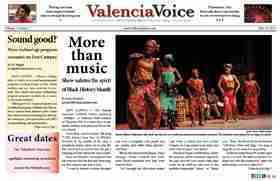 Click here to view the April 10 issue of Valencia Voice. 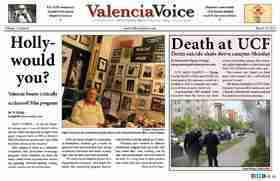 Click here to view the March 27 issue of Valencia Voice. 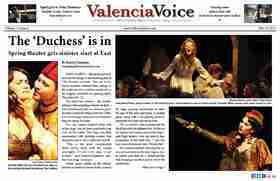 Click here to view the March 20 issue of Valencia Voice. 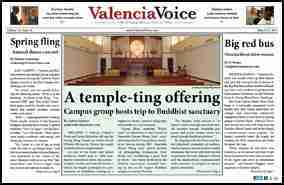 Click here to view the March 13 issue of Valencia Voice. 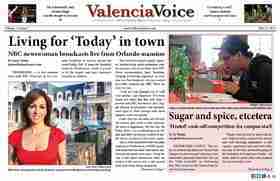 Click here to view the Feb. 27 issue of Valencia Voice. 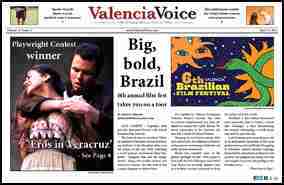 Click here to view the Feb. 20 issue of Valencia Voice. 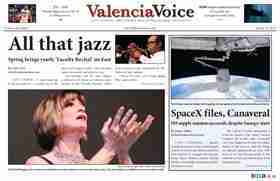 Click here to view the Feb. 13 issue of Valencia Voice. 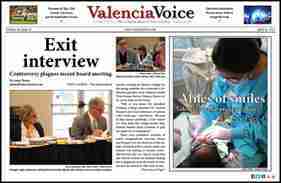 Click here to view the Feb. 6 issue of Valencia Voice.